Stitchboard Community - Teenager trying to cross stitch! community home > Cross Stitch > Welcome: Introduce Yourself > Teenager trying to cross stitch! Teenager trying to cross stitch! As you might have guessed, cross stitching is not that cool for people in my age. When I told my friends that I found it fun and soothing they looked at my as if I was some old party-pooper. I hope to get a different response from you guys! I have just recently started, and need all the advice you can give. I have started will just a black thread and have stitched some inspiring (*cough* more like hilarious) words and quotes. But I plan to make nice ones to give to friends. I am looking forward to getting to know you guys and all your tips and tricks! Re: Teenager trying to cross stitch! What a shame, that people think there's something wrong for a teenager to cross stitch! Well, you're gladly accepted here. I believe you're going to find there are others who share your passion, and anyway, cross stitch is ageless! Have you tried any cross stitch magazines? They usually have tons of great patterns. I actually found the British magazines are spectacular (not sure if you have a source, though). I used to buy them all the time! Oh, and most of them have what they call "cover kits," which is a small kit included with many of the magazines: cards, bookmarks, etc. There are usually both small and large projects in the magazines, and the best part is the small ones usually take very little time! 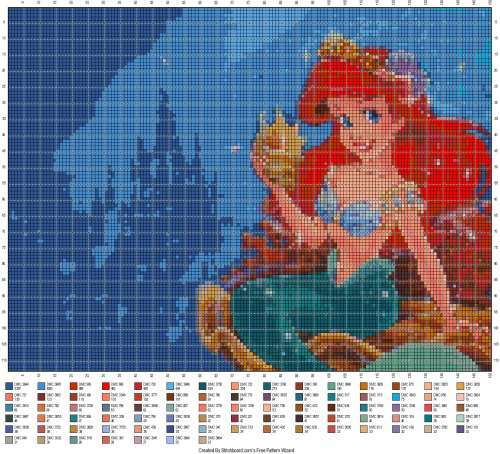 Another thing...there are all kinds of cross stitch alphabets available for free online. So if you don't like your lettering or want it to be fancier, blockier, larger, smaller, etc, give some a try! I'm guessing you already know this, but in case you don't, with cross stitch the way you should work is to do the bottom of the x first (all should face in the same direction) and the top stitches should always face the same way as all of the other top stitches. You've probably found that you can work a row of bottom stitches, stitching each from lower left to upper right (for example), then you can return to do the top stitches of the same row from lower right to upper left. When you use your floss, I believe convention is to make the pieces no more than 18 inches, but here's a trick...cut them 36 inches long. Strip your floss next...e.g., pull out one strand at a time. If your pattern (or whatever you're making up for a pattern) calls for an even number of strands, 2, 4 or 6 - and in my example of 2 strands you can take that 36 inch length of thread, double it, take the ends, thread them through the needle an inch or so in, then pull the needle through the loop on the other end so that when you pull on the cut ends (together) through the needle eye, your needle ends up with the thread looped securely, where it won't get unthreaded until you want to unthread it. (Argh, I can't find any examples of it, so I may have to make a video.) Sorry if that's as clear as mud! Anyway, I hope these hints will help you. I'm sorry about my bad explanation of the doubled thread on the needle, and if you'd like, I'll make a video. Oh, thank you for this! I will take your tips into consideration! Thanks! Hear, hear! Completely agree with everything you've said here! Oh, and what a beautiful drawing your husband did there! 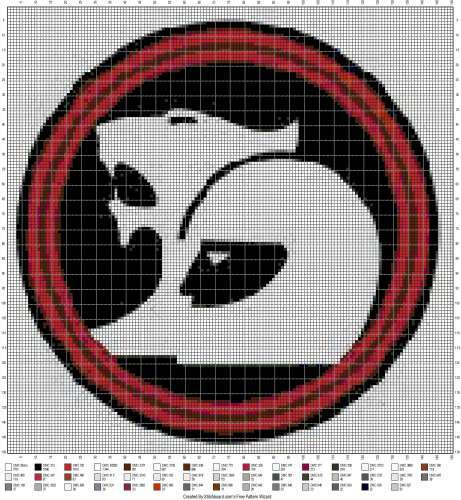 You should run it through as a cross stitch PDF, if you'd like to print it out as a pattern with symbols only or symbols and colors. I hear you about that Aida cloth! It used to be that there was afghan cross stitch fabric that had a large count...I forget how large, maybe 4 stitches across (?) - just know it was much easier to see. But my guess is it's been discontinued, because I haven't seen it in forever. If I encounter it, though, I'll let you know...that would have to be online, because there's no store locally anymore. This area is terrible for keeping any kind of craft store open...our yarn shop closed ages ago and we lost a bead store a few years after that. And then recently we lost a JoAnn Fabrics, which is a pretty solid chain of fabric and craft stores, so now it's about half an hour to the next one. Of course, the cross stitch store was also half an hour away...but that one closed, too. Thank you...that's very generous of you! You're sweet to do that, and I agree...kindness is wonderful and doesn't take very much energy! I agree...that's very rude! At least say thank you for helping out. Some people...ugh! No manners whatsoever. The pattern turned out wonderfully...bet she couldn't do half as good of a job!